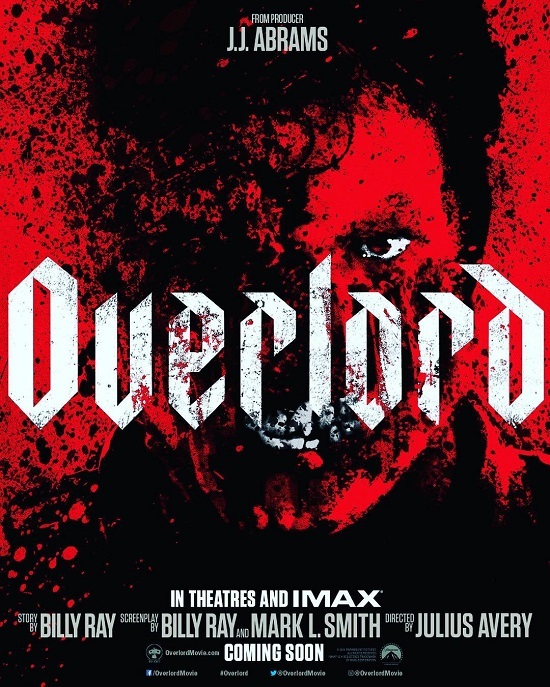 When I first heard about Overlord, I was excited at the prospect of a proper genre film getting a mainstream release. Originally, there was speculation that the film would fit into JJ Abram’s wider Cloverfield cinematic mythos (which is apparently a thing) but I am happy to report that Abrams confirmed the film would not be connected to the series… a fact which saved me from having to watch Cloverfield again. 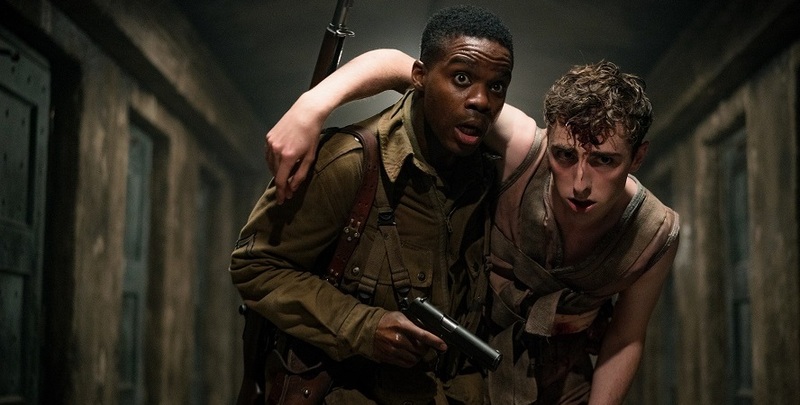 The basic premise of World War II war movie with weird/occult science horror and buckets of gore was an exciting prospect and I went into the theatre with proper excitement for the absolute schlock that was about to shown me. The film’s story picks up in World War 2 during operation Overlord and the immediate lead-up to the Allied invasion of France and D-day. Pvt. Boyce and his airborne unit get dropped into German occupied France. 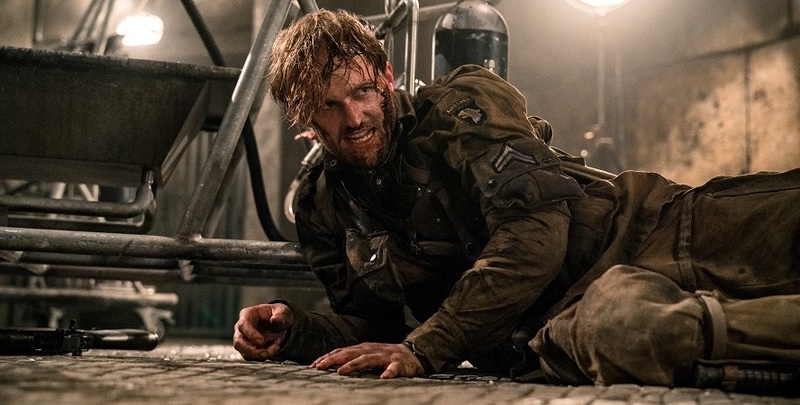 Following a disastrous landing in which most of his unit gets killed, Boyce rendezvous with the remnants of his unit including the stern Sgt Ford (Wyatt Russell), a wide-eyed army journo (Iain De Caestecker), and a sarcastic wise guy (John Magaro). They decide to continue with the mission and attempt to bring down a Nazi radar jamming facility with only their reduced numbers. 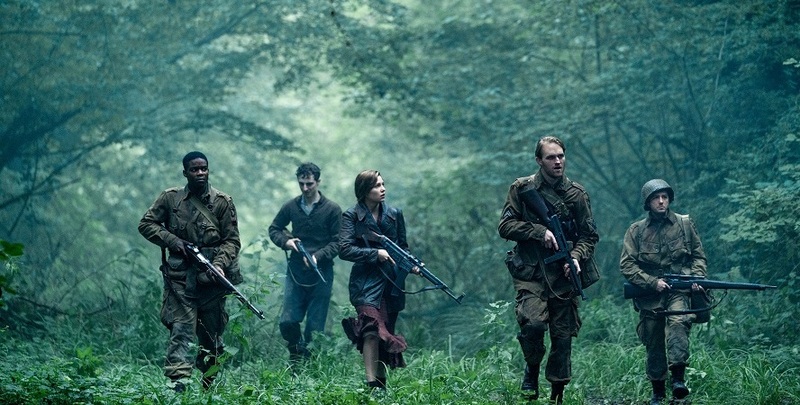 As they move into the area of their mission site, they find themselves dealing with forces far stronger and horrific than the already monstrous Third Reich. Abrams, as a writer, espouses a particular philosophy of screenwriting where he vaunts the use of “mystery box” storytelling. At its most basic, a mystery box holds the attention of an audience by the question of “what is inside the box?”. If you chart the career of Abrams, you can see his philosophy in action with the television series Lost, which maintained significant audience interest across its many seasons by only ever giving more and questions to its audience. His deployment of this philosophy makes him accomplished at set-up and building tension right at the outset of a film. Unfortunately, his skill with set-up does not translate into a successful delivery of denouement; the answer to “what’s in the box” never really lives up to excitement of the mystery. 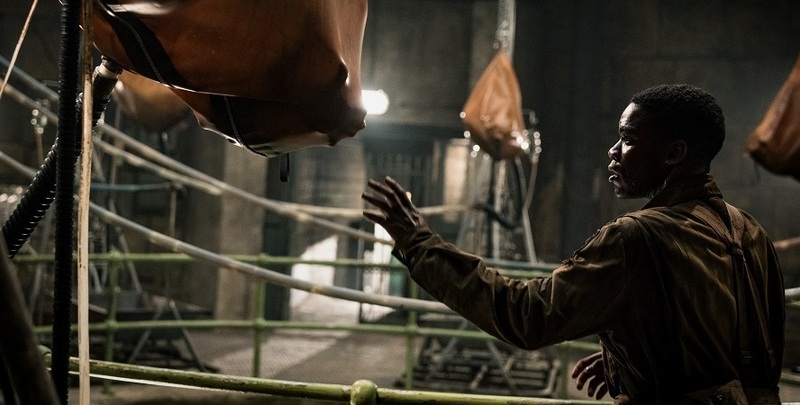 I came out of the cinema feeling a distinct disappointment in the film’s final showdown with the monstrosities of Nazi experiments. The final act is, without a doubt, a complete anti-climax following its intriguing first half. I was honestly impressed by the creative and ingenious cinematic storytelling and I soaked in the little details which the film generously fed to me with, I assumed, the promise of a satisfying narrative delivery further down the line. 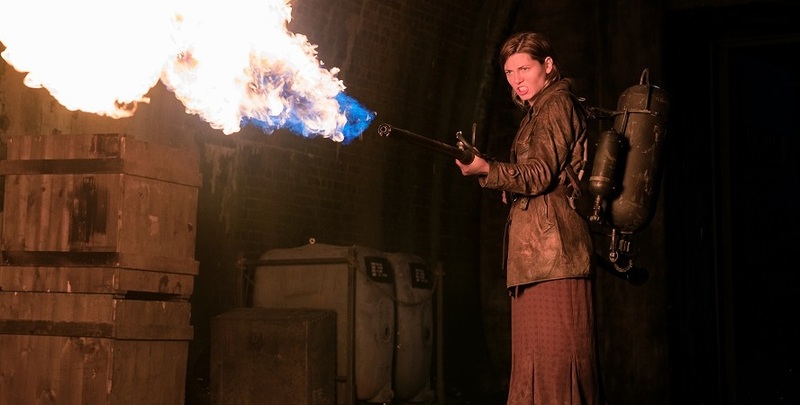 You see little things like the prominent use of a flamethrower or changes in characterisation which you instinctively hold on to because the film draws it to your attention. I was correct on some of my assumptions as these tidbits occasionally end up with a payoff in the final act that doesn’t really land in a way that almost feels like it’s more interested in tying up a loose end rather than actually providing a satisfying conclusion. I think the film’s narrative suffers from a loss of nerve halfway through the story. In my immediate post-screening analysis, I could see the building blocks of an exceptional story about how war turns men into monsters. There were the inklings of visual motifs and narrative themes which could have paid off if the film had just had the confidence to stick to its guns for a slow and more effective burn. You can see that there was some talent in this script by the strong established characterisation of each member of the squad in the film’s opening act. The problem is that all of this falls apart about halfway through the film when it decides to defer story in favour of body horror CGI. This fails to deliver on the film’s opening potential and I yearn to turn back time and have a place in the film’s production so that things might turn out differently. In terms of non-writing related elements of the film, it has a fairly solid ensemble cast who are only really held back by the material they’re working with. In particular I wanted to highlight the performance of Magaro as the snarky comic relief trooper. His sarcasm and comic timing helped provide a foil to the grim seriousness of Russell’s Ford and the wide-eyed naivety of Adepo’s Boyce. Ultimately, everyone’s character appears to lose all sense of their own desires or reason in favour of going along with the movie’s logic in the second half… the cast do the best they can with what they’ve got and I hope to see them again with roles with a bit more meat to them. The film’s soundtrack doesn’t particularly stand out for me; it’s an orchestral score which punctuates the film’s emotional beats as necessary and it accomplishes this without leaving an impression for good or ill. There is one audioscape which impressed me in the film’s opening on a transport plane followed by the silence of the night operations of the paratroopers. 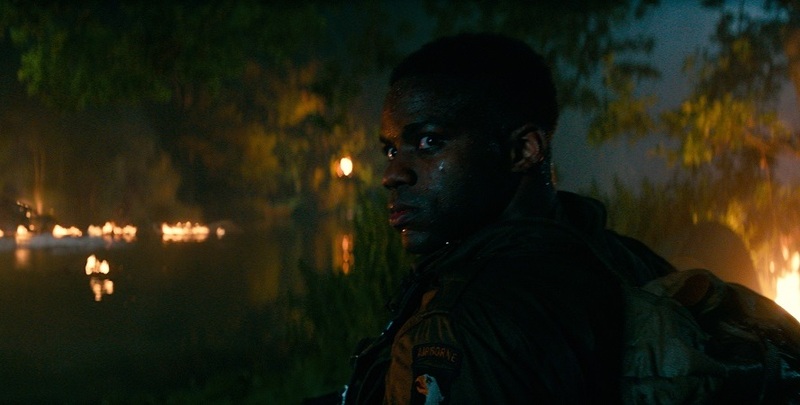 I quite liked how the film decided to give us an opening scene where you could barely hear any of the characters followed by scenes of quiet paranoia where every rustle and crack could herald danger. It’s audio juxtaposition at its finest and I felt strongly enough about it to spend a couple of sentences gushing about it. I am in two minds about this film as although I thought it opened strong, I became less enamoured with it the longer it ran. The film’s narrative has glimmerings of something greater occasionally shining through but it loses its nerve and tries to go for an immediate payoff through CGI action horror. The film’s visual direction and special effects fail due to a lack of creative vision with there being little to awe or horrify on the screen. The film occasionally has flashes of inspiration for how to use its soundscapes in an interesting way but is otherwise simply competent. I honestly did not expect to have such complex thoughts on a film which looked like it was going to a shlock film version of Woflenstein but here we are… the first half of it is great but fails to live up to its promise with a satisfying climax. Buy a ticket to see it and then sneak into a different film halfway through. Overlord fails to live up to its strong opening half and ultimately disappoints with a very lackluster second half.